Gilmore Girls drew in its fair share of viewers when it first aired in the early aughts, but its move to Netflix in recent years helped spawn a newly invigorated fan base. By the time the revival debuted on Netflix on Nov. 25, the series had attracted a following so rabid it could rival any current network hit. Apparently, a certain Hamilton star somehow missed the boat both times around, but, before you break out the torches, he’s already making up for lost time. 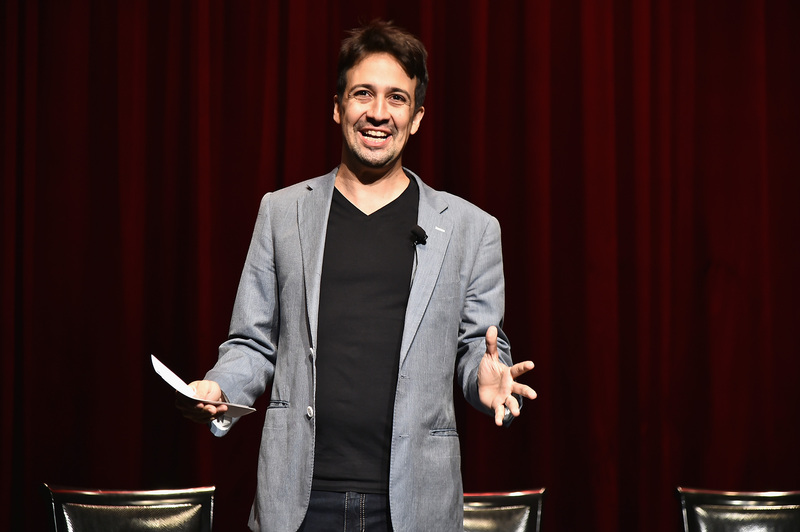 That’s right, Lin-Manuel Miranda is watching Gilmore Girls, and we’ve officially reached peak 2016. One week after A Year In the Life’s premiere, the Hamilton multi-hyphenate took to Twitter to profess his love for the über beloved mother-daughter dramedy. “Okay, so I’m watching my first episode of Gilmore Girls ever,” he wrote. “I missed it the first time around! (It is AWESOME).” Whoa, an all caps seal of approval? Even Emily Gilmore would be pleased. Miranda went on to say that his wife watched the show while she was growing up, and watching her watch the pilot was “EVERYTHING." That's adorable and all, but where was my own personal Miranda when I was watching? I'd love for someone to get excited seeing me watch a show that I love. Knock knock, universe. Can we all get a man like Miranda in our lives? He also had a few words for the quick-to-pounce shippers. “THE REST OF YOU CHILL WITH YOUR TEAMS AND YOUR OTHER BULLS**T I JUST GOT HERE,” he tweeted. Oy, with the all caps already. He’s only on the first episode, which means all he has is Dean. Let’s not make him choose just yet. Besides, the key question won’t be which boyfriend Miranda sides with, but how he felt about that Stars Hollow musical. He’s still got seven seasons to get through before starting the revival, so it’ll be a while before we find out. In the meantime, welcome aboard Lin-Manuel, we have Pop Tarts.